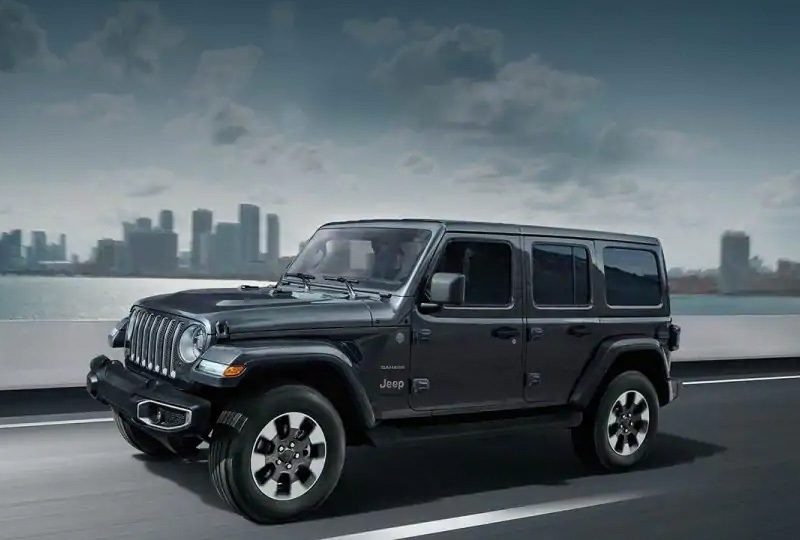 The 2019 Jeep Wrangler from Lake Keowee Chrysler Dodge Jeep Ram in Seneca, SC - serving Anderson, Clemson, Pickens, Easley, Greenville, SC, and Lavonia, GA - is the adventure ride that MotorTrend has picked as its SUV of the Year. 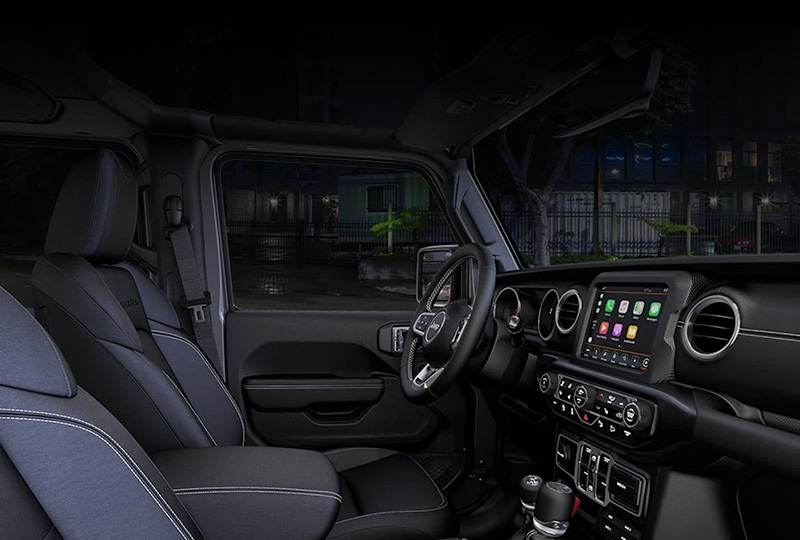 Make a strong statement in any environment with molded black front and rear bumpers and that iconic Jeep front grille. Keep the elements out or go for a full, open-air drive by taking off the zipperless Black Sunrider® Soft Top and full metal doors. 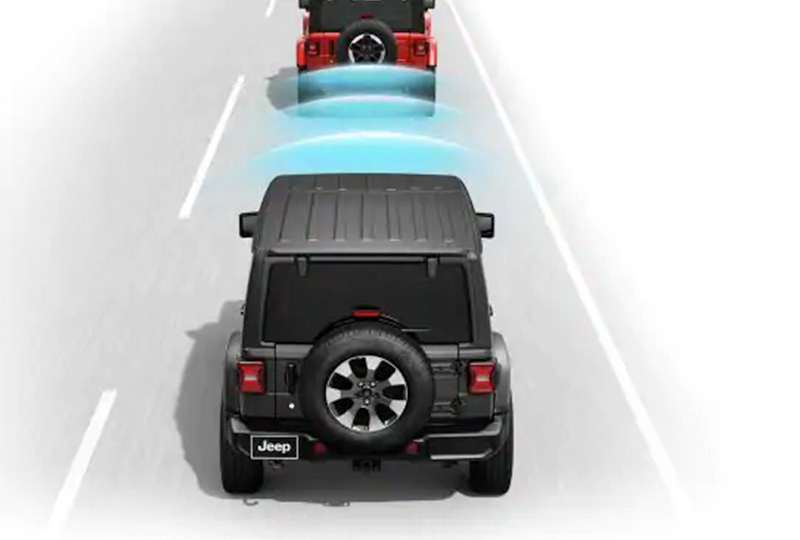 Use your 2019 Jeep Wrangler as the anchor on your off-road excursions with two front- and one rear-tow hooks. The standard 285-hp, 3.6L V6 engine has a max towing capability of 3,500 pounds,1 and you have your choice of pairing it with the standard 6-speed manual transmission or the available 8-speed automatic, as well as the standard Command-Trac® part-time 4WD system or optional Selec-Trac® full-time 4WD system. Make the most of your cargo area by folding flat the 60/40-split rear seats and using the cargo tie-down loops to secure things back there. Part of a successful road trip is having great tunes, and you can accomplish that with Bluetooth® technology, eight-speaker sound system, and available Apple CarPlay™ and Android Auto™. 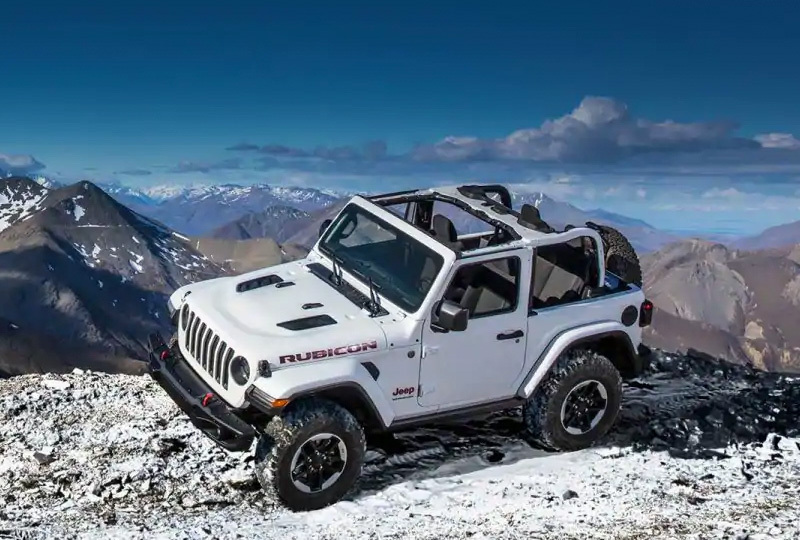 There's never been a better time to buy a 2019 Jeep Wrangler! Our inventory is quickly filling up and new auto loans are at their lowest rates in years. Take your test drive today with Lake Keowee Chrysler Dodge Jeep Ram by visiting the showroom at 10815 Clemson Blvd., Seneca, SC. Now it's easier than ever to get a clear view of the trail thanks to a fold-down windshield2 that is simpler to fold down or up-it only requires removal of four bolts versus 28 on the previous model. Unexpected factors can cause your trailer to sway from side to side. Trailer Sway Control3 applies brake pressure on alternating wheels and adjusts engine throttle to help maintain vehicle and trailer stability. 2. Be sure to follow all instructions in owners manual for removal of tops, doors and lowering of windshield. Driving with the doors off and windshield down is for off-road use only. 3. Always drive carefully, consistent with conditions. Always wear your seat belt and obey traffic laws.